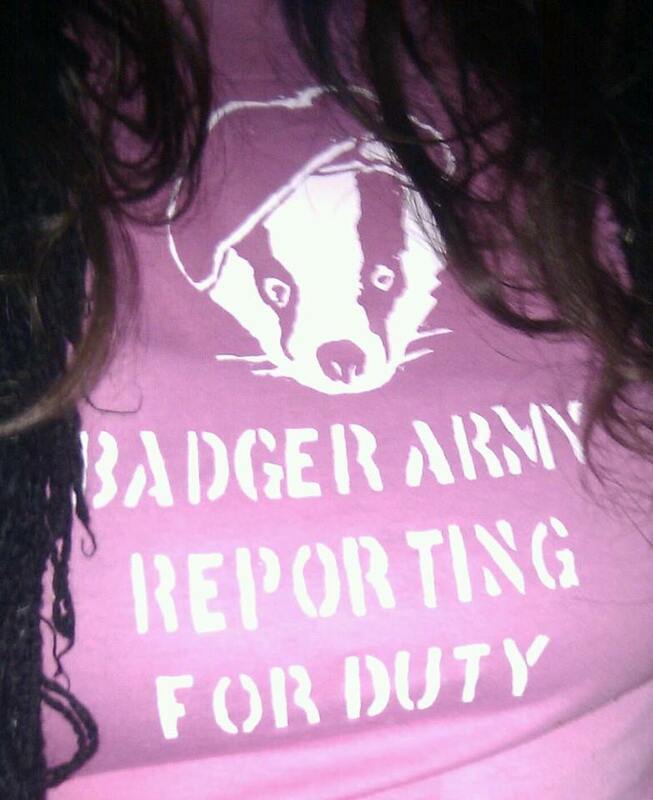 Have you been wondering what kind of people are out on the frontline defending the badgers? Here is an account from one such person. I am grateful that she does this as without people like her, the badgers would be defenceless. Thoughts of a badger sab…. 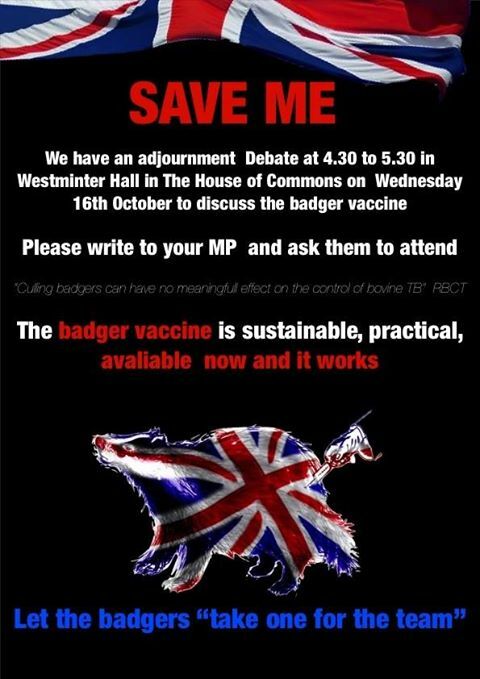 Please inform people about this and ask your MP to attend the debate. This is our countryside, our heritage and we need to bring an end to this barbaric and senseless culling of our wildlife. This entry was posted in Badger Cull, Environment and tagged Badger, Badger Cull, Sabbing the badger cull. Bookmark the permalink. good work, yes my partner sharon has been out every night when she not working, she has been assaulted by a farming family, hassled by police, shivered through the night, cried alot, etc but she will never stop, just to be there and try is her only objective, i am one lucky guy to have such a woman as i am sure many of you mirror this. thanks for reading, greg. Thanks to your partner too for all she does Greg. These people are worth their weight in gold.